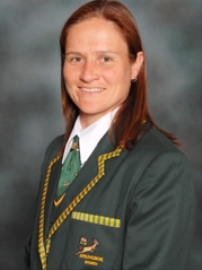 I'm Ingrid Botha, I'm crazy about sport and obtained my degree in Sports Science at the University of Pretoria in April 2009. I also obtained my National Colours in Rugby and was playing for the Springbok Women's Team for 5 years. I have recently also started doing trail and road running, and really enjoy it.